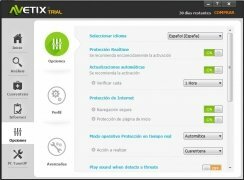 Nowadays it's almost essential to have a good antivirus system to protect our computer, specially if we bear in mind the large amount of Internet-related tasks and activities we carry out on our PC. And as well as protecting ourselves, we also have to avoid decreasing the performance of our PC as much as possible. 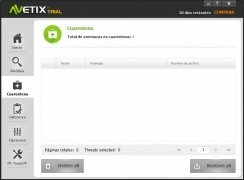 That's why Avetix can become the antivirus solution we were looking for. 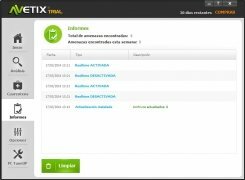 By downloading Avetix we'll get hold of a tool that's really easy to use thanks to the simplicity of its interface. 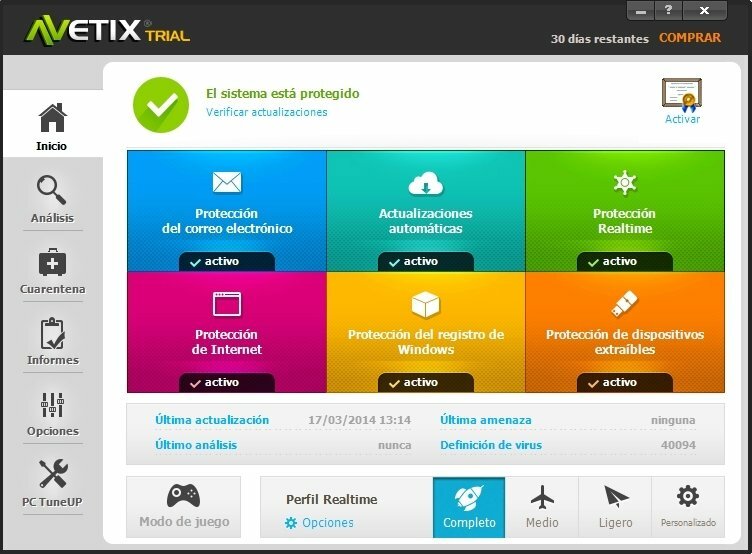 The latter, the basic options of which are all accessible from its main panel, offers us real-time protection for our computer, as well as for more specific elements, such as our email, the Windows registry or removable devices. 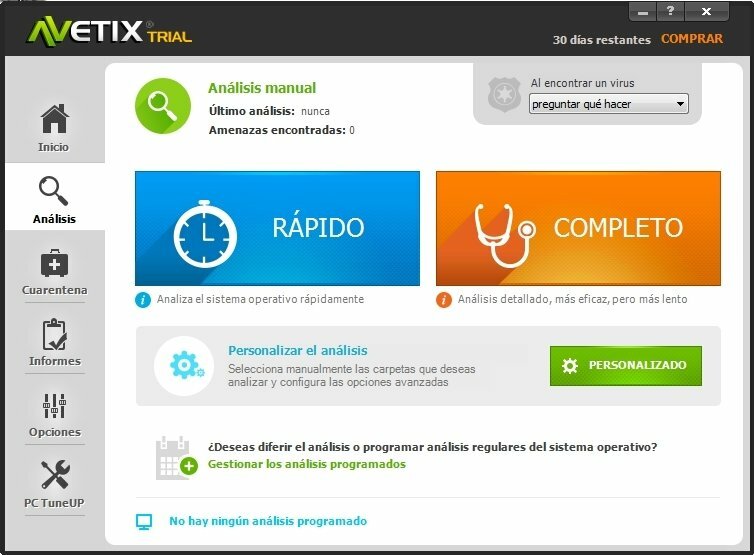 To these features we have to add the possibility to carry out detailed analyses of our computer, as well as having an area for quarantined files and analysis reports that will make this tool a reliable instrument for our PC to fight against all sorts of threats. Establish the protection level that meets your needs. 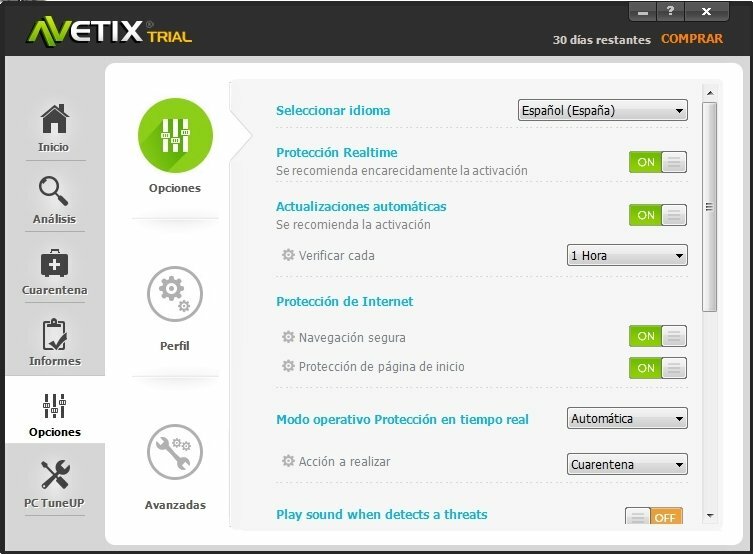 Automatic protection of the operating system. Special attention to our email, the Internet, Windows registry and removable devices. Possibility to establish customized protection levels. Quick or thorough system analysis. Quarantine area for suspicious files. Analysis of PDF files, Office, UNIX and compressed executable files. 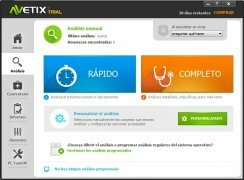 If you need protection that guarantees the stability of your computer, don't hesitate and download Avetix antivirus for free. 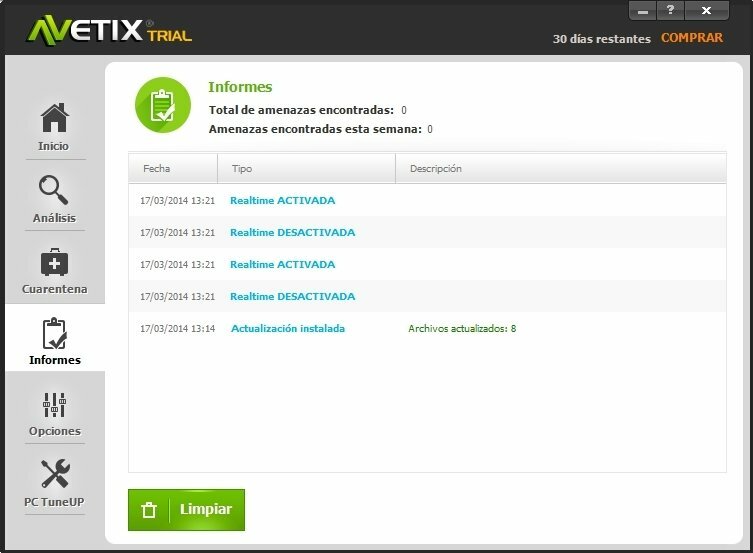 The trial version lets you use the program for 30 days.